By default Windows 10 comes with automatic updates enabled on your PC in order to keep it safe and up-to-date with latest security patches. You won’t be able to disable or turn off Windows Updates using Control Panel or Settings in Windows 10 like you used to do in the earlier version of Windows operating system. Also check How to fix wrong time in Windows 10. But still there are ways which I will discuss further by which you can disable, turn off or stop automatic updates in Windows 10. You can easily stop automatic Windows update using the Local Group Policy Editor if you are using a Professional, Enterprise or Education edition of Windows 10. Secure your password with Roboform 25% Off Discount Coupon. But if you are using Windows 10 Home edition, then you won’t be able to use the Local Group Policy Editor Method. For that you have to use the Metered Connection method which I will explain below. You might also like to learn how to disable touch screen on Windows 10. But before that let me tell you that this post Is going to get updated based on latest technological updates. So don’t forget to subscribe to my email list and bookmark this post for future reference. In earlier post I have written about How to turn on Bluetooth in Windows 10. 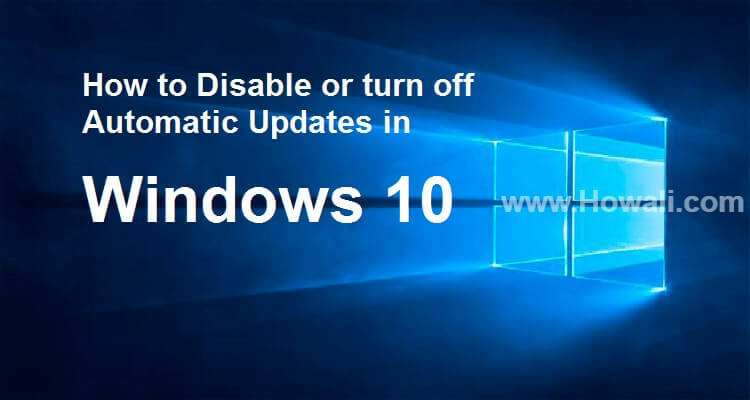 In this post I will show you how to disable, turn off or stop Windows 10 automatic updates. 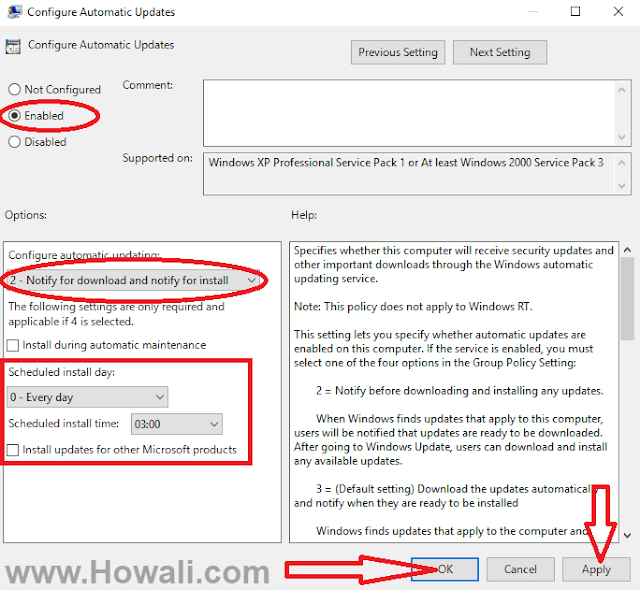 How to disable Windows 10 automatic updates using Local Group Policy Editor? 1.Press Windows +R key on your keyboard to open Run box. 2.Type gpedit.msc in the Run box and click OK or press Enter key. Amazing Deal: Movavi Video Editor Plus Discount Coupon and get $11.99 Off. 4. Double click Configure Automatic Updates as shown above. You will get the window shown below with 3 options Not configured, Enabled and Disabled shown in the left hand side. Get 15% Off with RedmineUp Discount Coupon. If you want to permanently disable Windows 10 automatic updates. You have to select Disabled option, then click Apply and OK and you are done. Automatic Updates will be turned off permanently on your Windows 10 PC with this option. Record your screen at more cheaper price, use Movavi Screen Capture Discount Coupon and get 30% Off. But if you want to turn off or stop Windows Update temporarily, then follow this step. 5. Set Configuration as Enabled as shown above on the top left. 6. Choose your Options from Configure automatic updating: and schedule install day like as shown above Every day at 03:00 hrs. 7. Finally Apply the settings and click OK button. Whenever you want to enable automatic updates again, simply follow the steps 1 to 4 above and choose Not configured on the top left. Edit your Videos like a Pro, get 49% Off Cyberlink Discount Coupon. How to Turn Off or Stop Windows 10 Automatic Updates using Metered Connection? 2. Under Metered Connection toggle the Set as Metered Connection to ON. Important Note: This method is applicable for a particular network you are using. I have shown the example of WiFi connection, but if suppose you are using an Ethernet connection, then you have change Ethernet settings. Transfer your files at a faster speed, get AnyTrans 48% Discount Coupon. Use Newsbin Pro Discount Coupon, the best NZB Usenet Index tool to get $3.25 Off. Remove Unwanted files on your system and clean up your PC with Iobit Uninstaller 7 Pro Discount Coupon and get 40% off. So these were the methods by which you can disable, turn off or stop Windows 10 automatic updates. Rip your DVDs at a fastest speed, get Wonderfox DVD Ripper Pro Discount Coupon to get 30% off. Do let me know through comments how this post has helped you. Don't forget to subscribe to my email list to get useful tip of this blog in your Email. If this post has helped you, do give us a Facebook like below. I would also request you to share this post with your friends from the social network buttons given below.